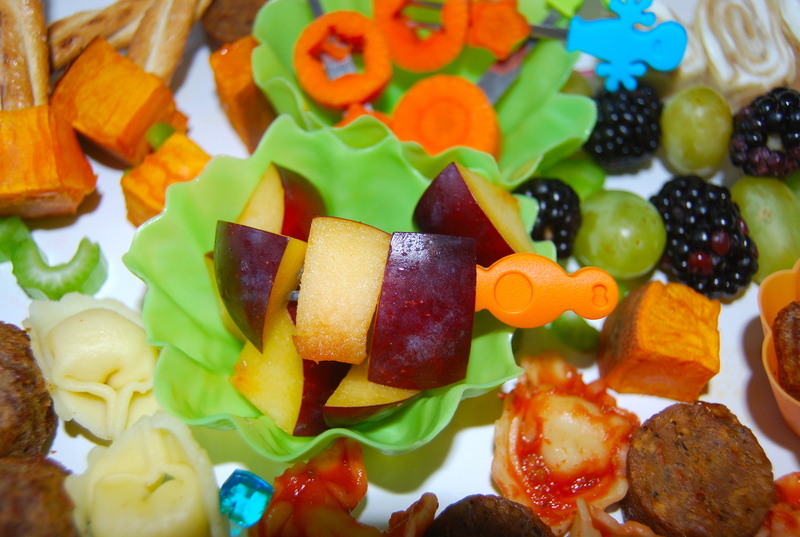 My last post was all about how to make lunch fun and why any busy parent would bother. Here, you can find some of my favorite tools for creating fun and interesting lunches, plus our favorite lunchbox. 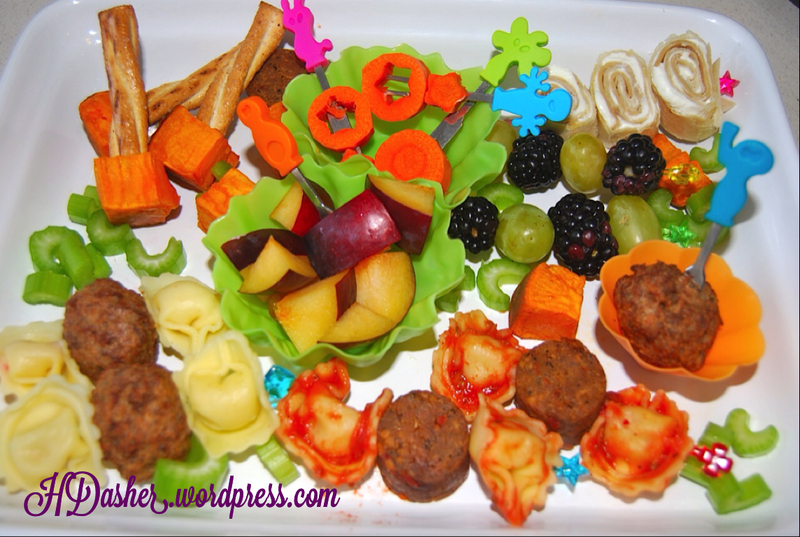 Today, I’m sharing a few more ideas for healthy, well rounded lunches or snacks. My kid won’t touch a sliced plum but if I cube it and skewer it, he loves it. Go figure. More proof that when it comes to kids, visual appeal is everything. I found some of our favorite skewers at Ross for around $3. For one stop shopping for everything bento, check out Bento USA. They carry picks, sticks, and the cute flexible bowls you see above. The sticks and skewers are sharp but I send them with my 4 yr old and haven’t had a problem after explaining that he wouldn’t be able to take them again if he misused them. If you or your school are not comfortable with sticks, try raw spaghetti noodles, a skinny handle of a spoon, or pretzels! Here are just a few ideas for sticks and picks. 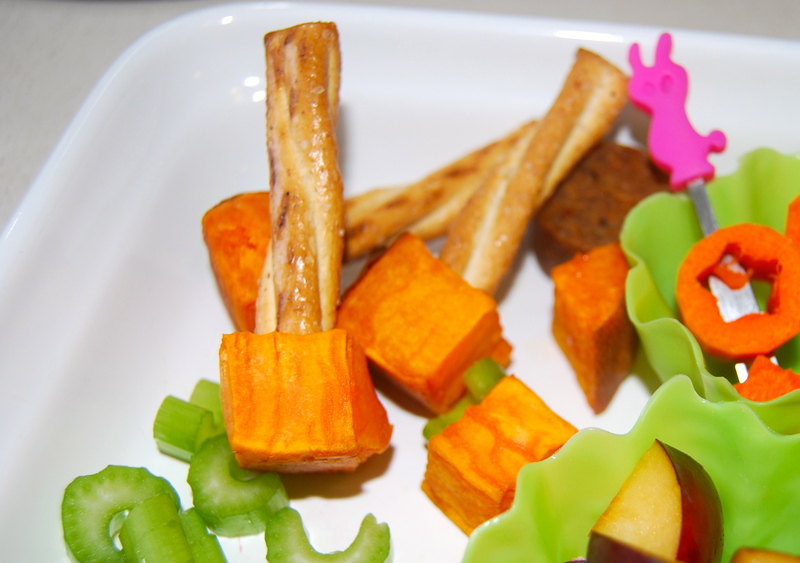 Around here, we call these Sweet Potato Pops and it’s how I got the guy to eat them at all. They couldn’t be easier to make. Rinse and cut a sweet potato into 1″ chunks, toss with a bit of melted coconut oil, place in a single layer on a nonstick baking sheet, and roast at 400 degrees for 35 minutes or so. When they are soft, remove from the oven and add pretzel sticks! 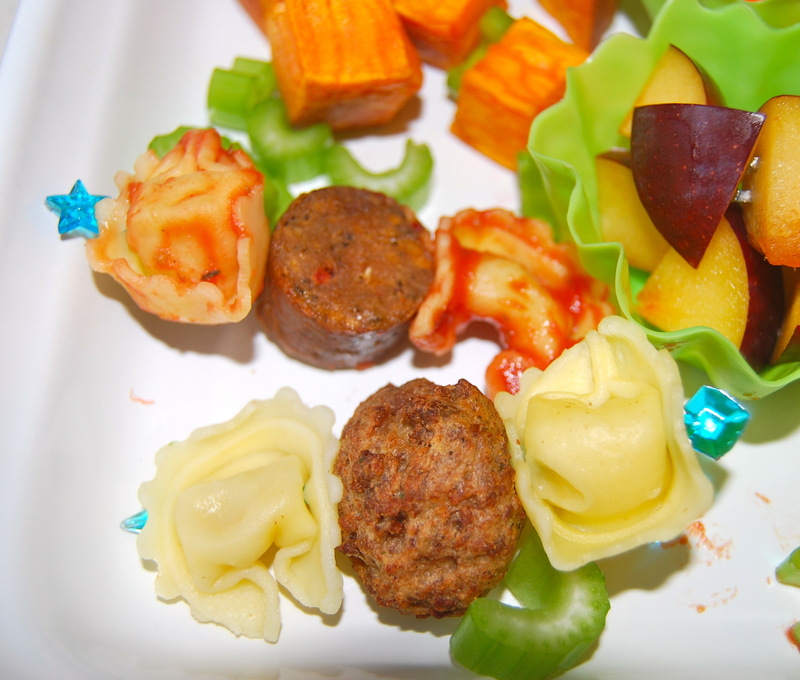 For pasta sticks, you could use tortellini, rolled lasagna noodles, gnocchi, ravioli, etc… Serve with sausage or meatballs, cheese chunks, or cubed tomatoes. Add a small container of dipping sauce or coat with your favorite red sauce. 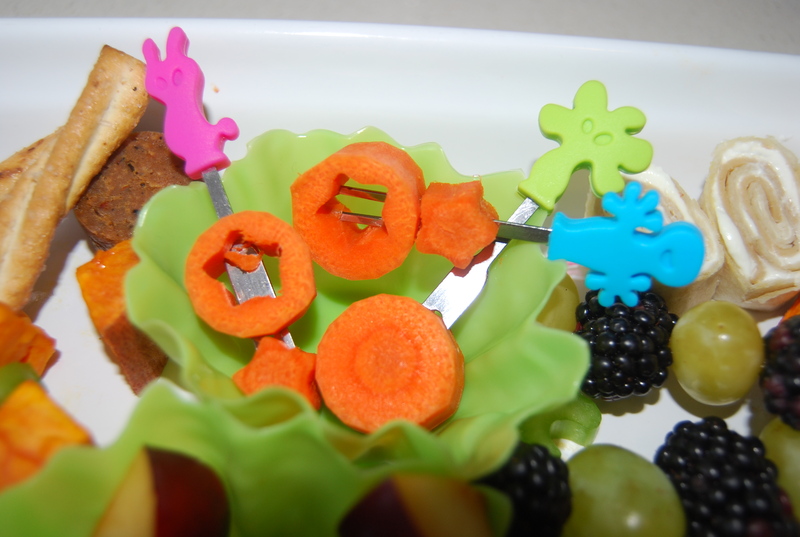 Raw veggies and fruit are so much fun if they are cut into cute shapes. Again, serve with dipping sauce (dip dip, as my son calls it). The tiny sauce container that came with our Laptop Lunchbox is just right. 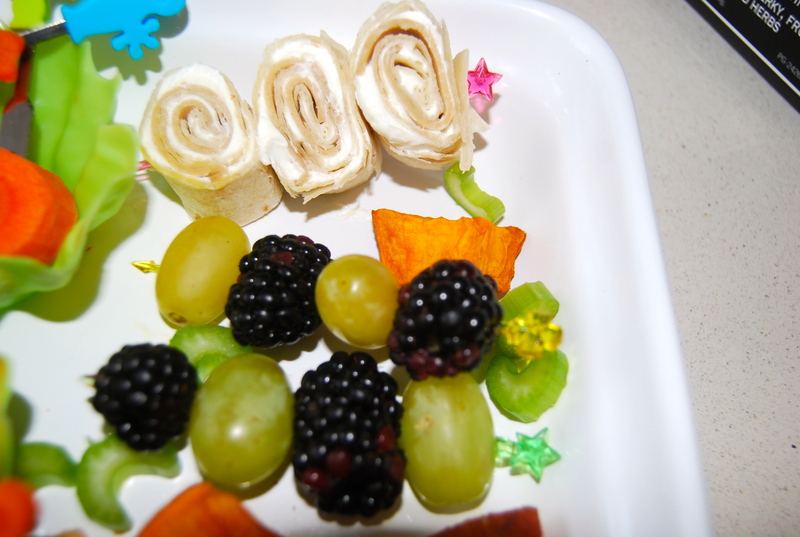 Fruit sticks and rolled sandwiches are so easy and the options are endless. Melons, grapes, berries, apples (soak them in apple juice or lemon water to keep them from browning), or cubed oranges. For sandwich rolls try cream cheese with deli slices, hummus and matchstick veggies, peanut butter and jelly, or pizza rolls with cheese and olives with marinara dipping sauce. You can use tortillas, pitas, or sandwich bread to hold it all together. 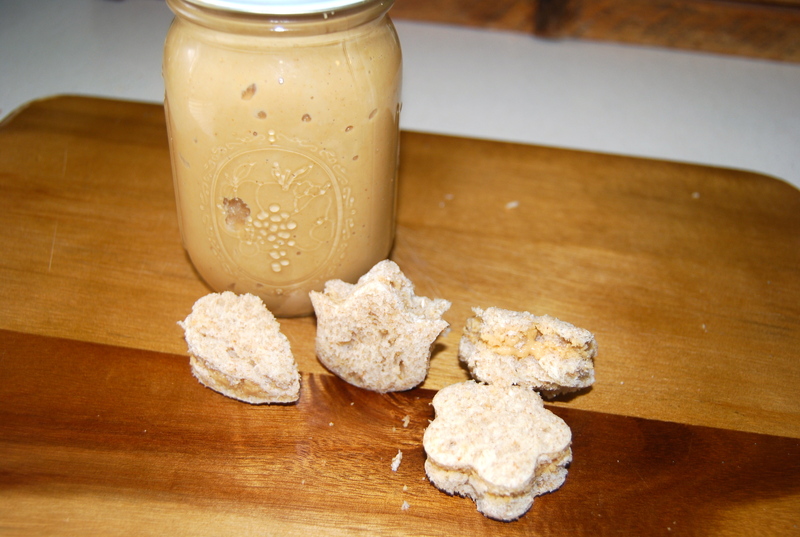 I thought I would include instructions for making homemade peanut butter. It’s delicious and ridiculously easy, not to mention lacking in several nasty ingredients that are often included in store bought. This also works for sunflower seeds, if your kid or school is nut free. Just add a teaspoon or so of olive oil to the seeds to make them easier to blend. That’s it. Really! 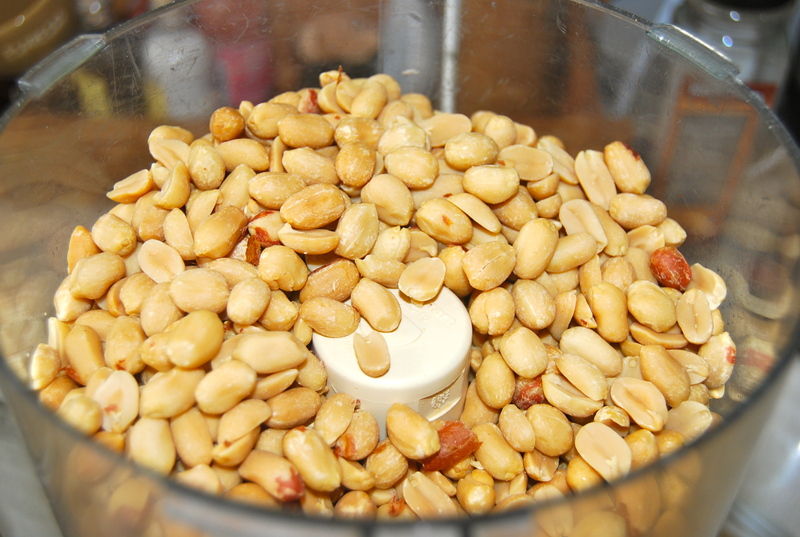 Raw or roasted, salted or not. 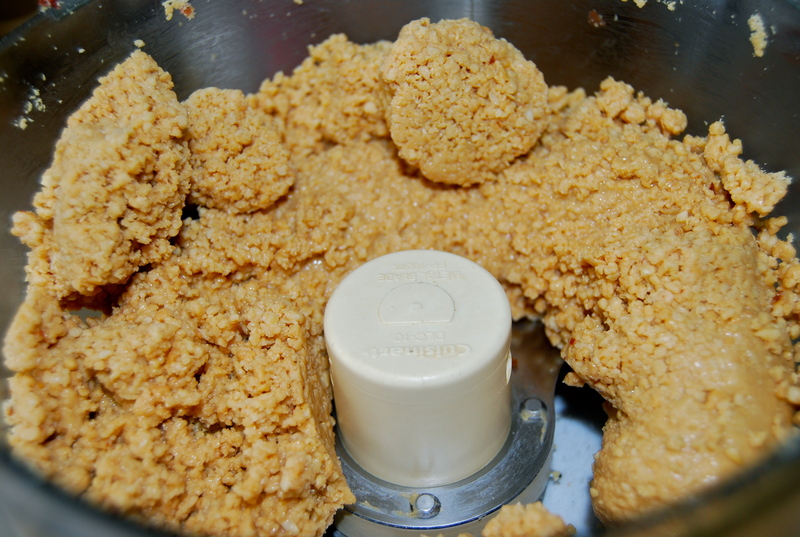 Throw them in the food processor and let it go for around 3 minutes. 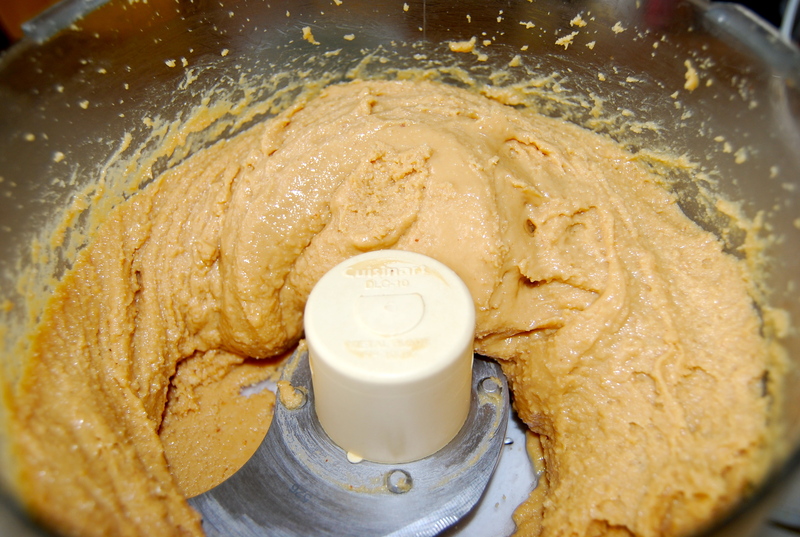 It’s the freshest tasting peanut butter you will ever eat and you can add cinnamon, honey, or smoked paprika if desired. Store in a mason jar in the fridge for up to a month for the best flavor, though ours never lasts that long. 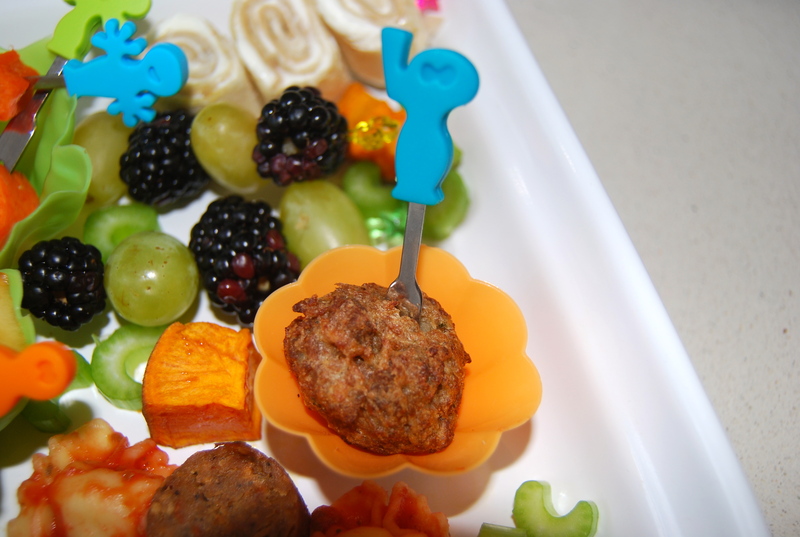 Are you feeling inspired to make some Fun Food? I hope so! I would love to see or hear about your creations! Saving this for when I have Grandkids!